Follow your package with the new Track & Trace feature! 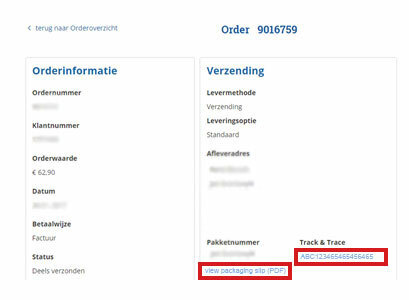 This lets you see the status of all orders placed both on the webshop and offline. 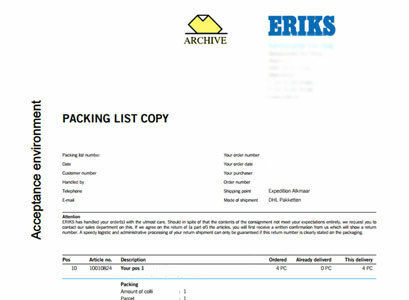 Find the Track & Trace feature in your webshop account on shop.eriks.nl. The function is only available for shipments through DHL. This feature allows you to find out the status of your package 24/7, such as: Announced, In transit, Out for delivery, Delivered. It also lets you see when you can expect the package. If you don't have a webshop account yet, request your account here. Don't hesitate to contact us if you have questions regarding this functionality.